Our community has been bursting to get their green fingers to work for a while, and we’ve got just the answer! Farming will now be available to players, including breeding and rearing livestock AND mounts, planting and nurturing seeds, and fishing. To make it easier for new or smaller guilds to enter into Albion Online’s exciting territory-based guild vs guild warfare, a new region type has been designed to allow guilds who don’t currently have claimed territories to attack another. These siege camps will play a similar role as castles in the last test, with a guild needing only to take control of the camp in order to be able to attack neighbouring territories. Party system for fame and silver sharing. A more detailed blog on this coming very soon! Potions and food! We couldn’t really call Albion Online an MMO without allowing players to eat a pie and have that inexplicably restore their body condition - it just wouldn’t be right. 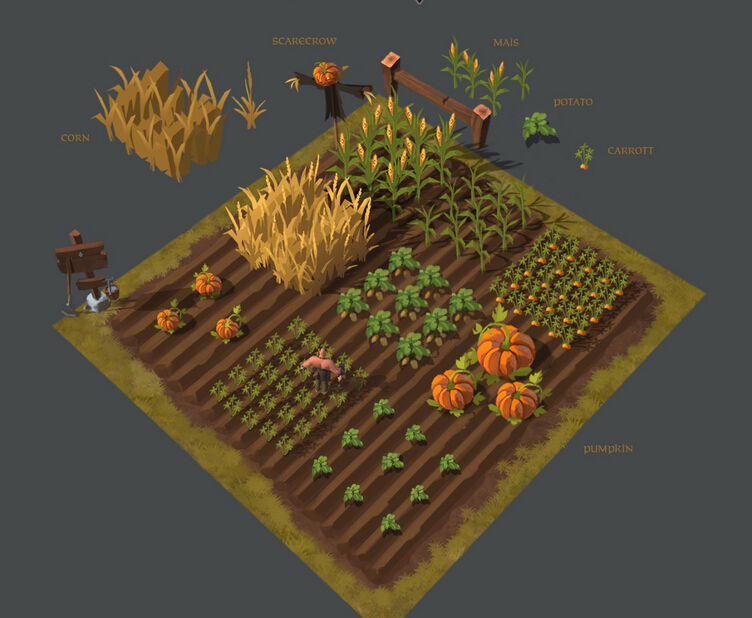 Food will also serve another, larger purpose in the world; it will be a fuel not only for a player’s tired muscles, but also for many interactions between the player and the economy of Albion. Buildings in the world will now need a certain amount of food to keep them working. A smith’s forge, for example, will require a certain amount of food to continue to allow players to continue crafting weapons there. This works in a similar way to the durability bar which buildings currently have.